If I were my skin, I'd hate myself. I don't wear sunblock (not even when I'm directly under the sun or at the beach), I don't have regular facials done, I don't drink enough water (three glasses a week is already a lot for me), and I don't have a dermatologist. But now that I'm in my thirties, I know I should take care of my skin more. I took baby steps by recently incorporating a skin regimen to my daily routine. It's nothing fancy, just Neutrogena moisturizer with SPF during the day and Lancome Genefique and another Neutrogena moisturizer at night. And I try to drink more water every day. I was also supposed to look up a dermatologist who I really liked but my last visit to her was more than a decade ago. 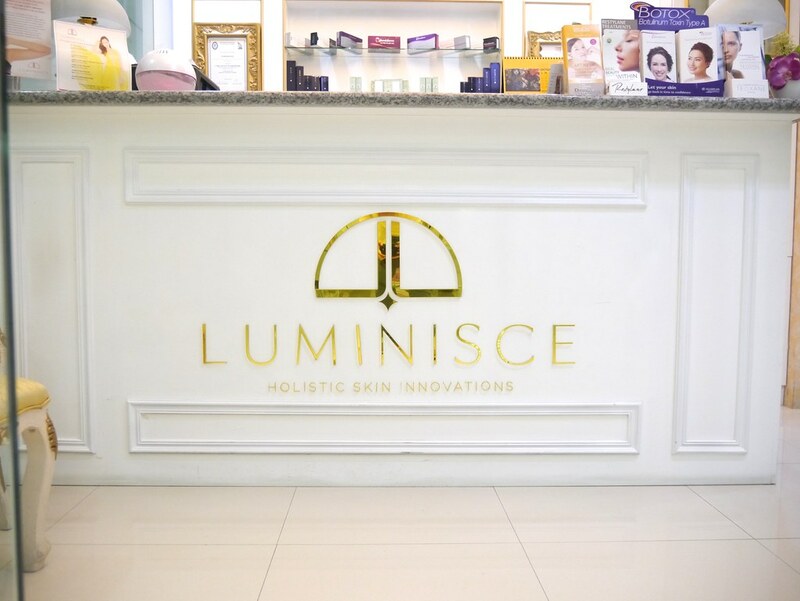 And that's when I received an invite for a consultation with Dr. Kaycee Reyes of Luminisce. Talk about right timing! 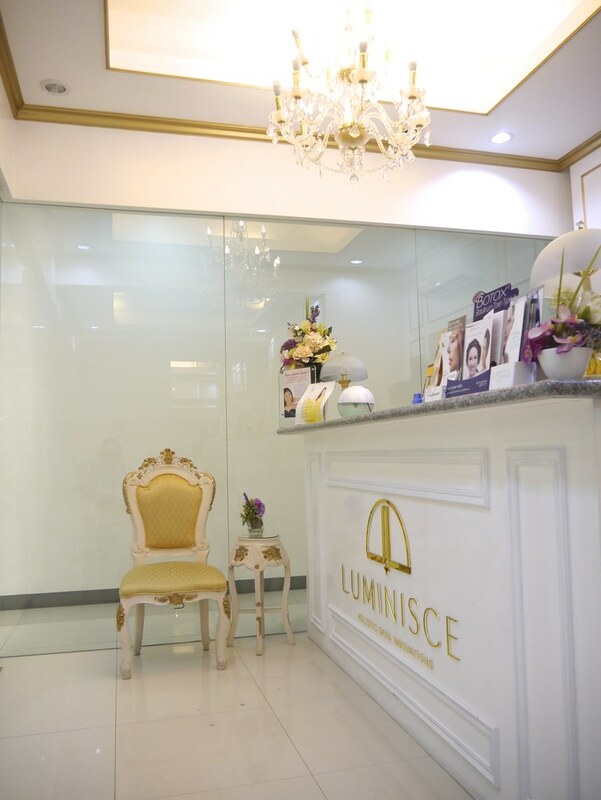 Luminisce looks more like a pretty house than a clinic. 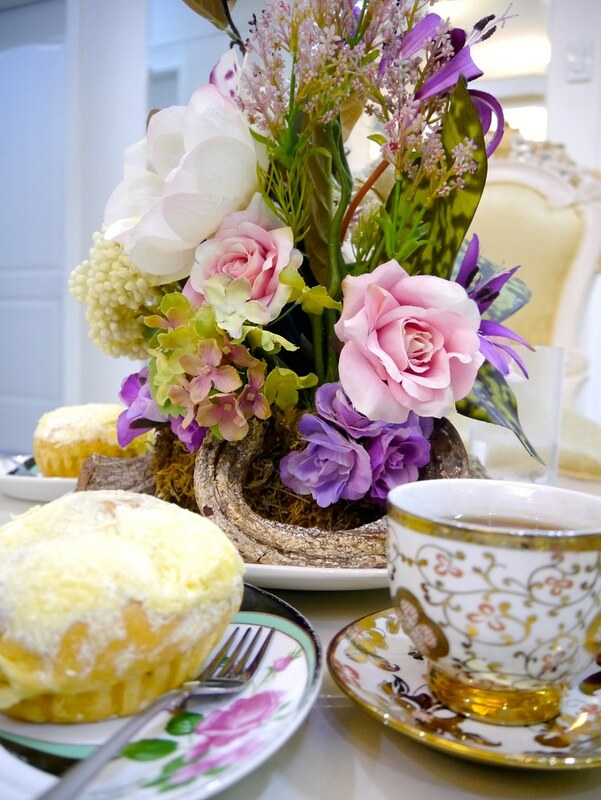 And to make their clients feel more at home, ensaymada and hot tea are served while waiting. Talk about service! Before the consultation with Dr. Kaycee, I am given a form asking for personal information, as well as my medical history. After that, T and I are called to Dr Kaycee's office. I tell her about my skin and how I regrettably am not able to take care of it that well. I also share my other skin problems like how I get a huge pimple or two on the same spot, which changes year after year, during my time of the month. For years, it was on my nose (gosh I hated that time), then it switched to my forehead, and now it's my chin. But what's even worse are the dark spots that these pimples leave behind! And because I get it monthly, there are new dark spots before the old ones have already faded. Dr Kaycee explains the reason behind my concerns which has to do with physiology, more than anything else. I also appreciate how Dr Kaycee listens to everything I tell her. In the past, whenever I say that my skin is sensitive, whoever I'm talking to will assure me that their products are hypoallergenic. But after the treatment or product application, 90% of the time I end up with blotchy red skin. This is the reason why I don't get facials or visit dermatologists (except for the one I had from way back). On the contrary, Dr Kaycee doesn't brush off my 'sensitive skin' concern and instead gives specific instructions to her senior nurse Chie to avoid any allergic reactions I might have while undergoing any of the treatments. And while she's giving out instructions, I can't help but admire Dr. Kaycee's skin.. It's so clear and luminous! Now I am certain I'm in good hands. 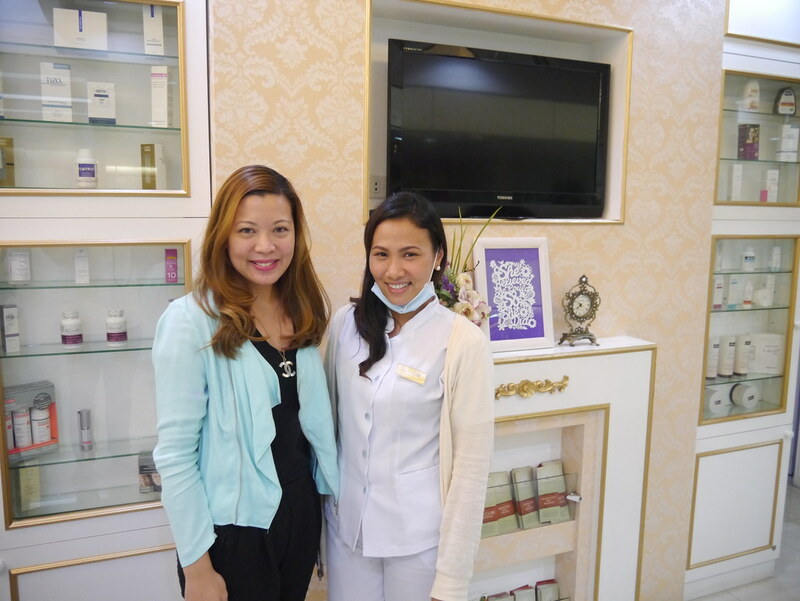 After the consultation with Dr. Kaycee, nurse Chie leads me to a treatment room. The bed is comfortable and the blanket is really soft and nice. I instantly feel relaxed. My first treatment for the day is the Luxury Facial. Nurse Chie starts by cleansing to get rid of all the make up and dirt then she massages my face and I almost fall asleep. By the way, if you can zoom in on my chin, you can see the dark spots left by the pimples that have already dried. 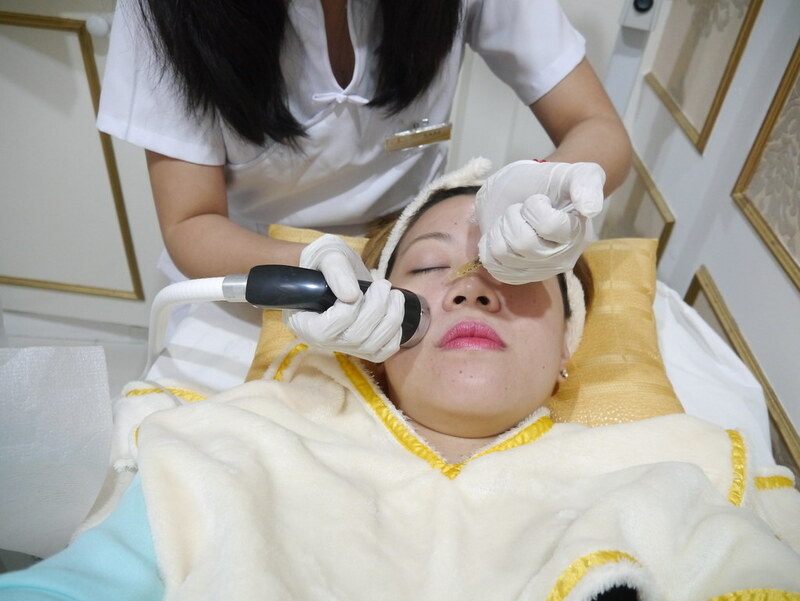 Nurse Chie goes on with the Sono Phoresis which feels like a small vacuum, meant to target small whiteheads, blackheads, and dead skin cells. After that, she does the Galvanic which relaxes the facial muscles and prevents wrinkles through micro currents. The final procedure is the Skin Oxyglow which involves blowing high pressure air into my face to deliver oxygen and infuse vitamin C for skin brightening and ceramide for anti-aging. 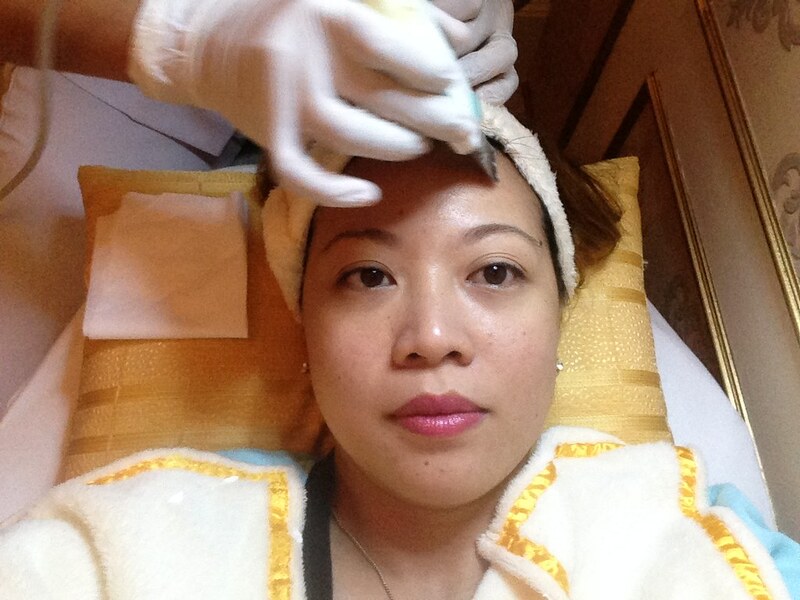 In between the procedures, nurse Chie comments that my skin does react and turns red easily. I appreciate that she acknowledges this because in my experience with other facial centers, they don't do any adjustments even if my skin is already turning as red as a lobster. 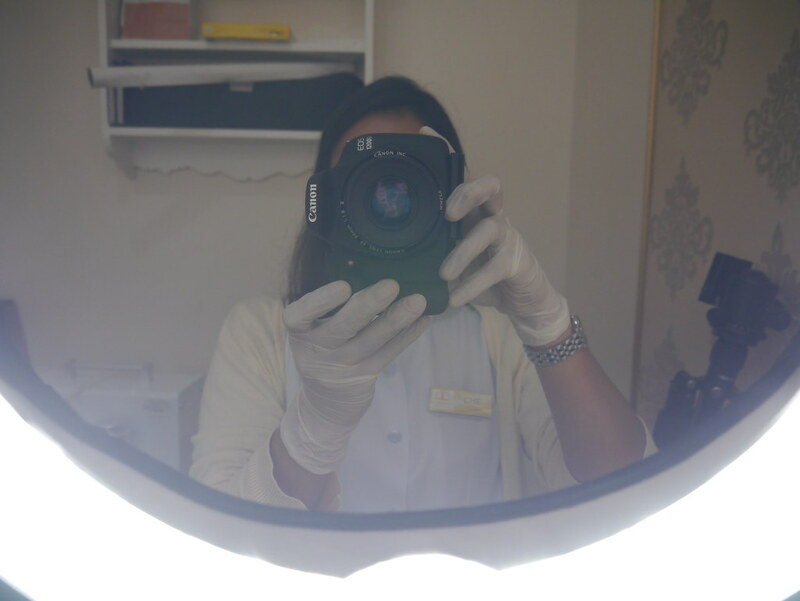 After the facial, nurse Chie leads me to another room and takes photos of my face at different angles. I ask what this is for and nurse Chie tells me it's so we can see the 'before' and 'after' effect of my visits to Luminisce. After the photo session, I am back in the treatment room and nurse Chie endorses me to nurse Sam for my next treatment called the Vita Serum Booster. Nurse Sam puts a metal sticker-like object on my neck area and she says it's so the current will flow better, something about positive and negative ions. This treatment infuses Vitamin C to my skin in order to lighten dark spots left by those pesky time-of-the-month pimples. I also undergo the Ultra Revitale where skin is cleansed and nourished to reveal healthier skin through ultrasound technology. Several creams are first applied to my skin for moisturizing and hypoallergenic reasons before nurse Sam proceeds with the treatment. But instead of sticking something again on my neck, nurse Sam makes me hold a metal rod to make the current flow through my face and body faster and stronger. Oh my gosh. This is such a tiis ganda moment! Actually, it's not really pain that I feel.. More like a tickling electric sensation. I can't fully describe it so you just have to try it especially if you want smoother and tighter wrinkle-free skin. Nurse Chie returns and does the Acne Clear treatment which targets acne inflammation, post-acne redness, and facial flushing. Earlier, I asked Dr. Kaycee if always being red in the face is a problem. I actually started using foundation just to hide this redness. Dr. Kaycee said that she thought I was using blush that's why I'm red but apparently my face just reacts easily to different factors like sweat and heat. 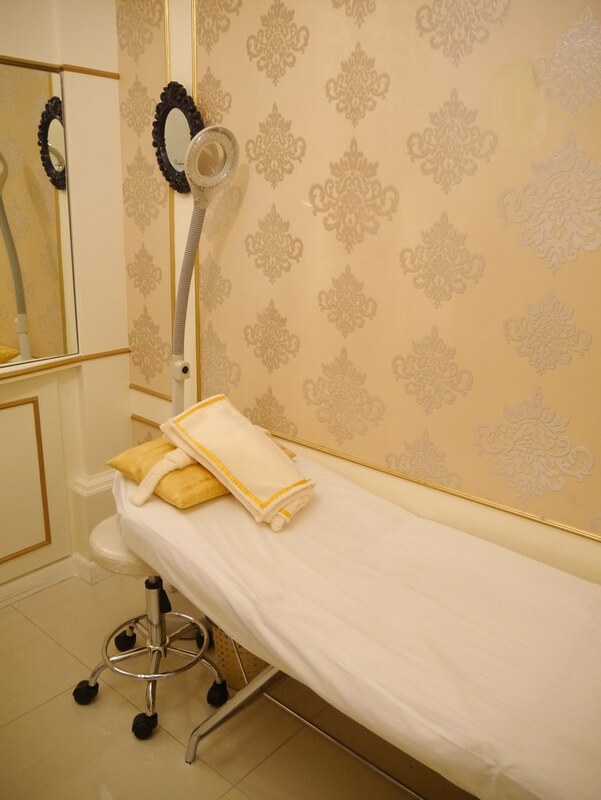 I think that's why she recommended this treatment which uses non-invasive Spectra XT Gold Toning Laser. It normalizes the blood vessels in the face and is the safest yet most effective solution to acne inflammation, redness, and flushing. Hi! How much is the luxury facial and the vita serum booster? Hi! How much did the procedure cost you? Thank you! The Belly Rub Restaurant in Commercenter Alabang. S&R's Halloween and Party Deals This October. Acacia Hotel (part 3): Lurra Wellness Spa. Acacia Hotel (part 2): The Lobby at Acacia. Applebee's Grill and Bar, Now Open in BGC! Win A Staycation at Acacia Hotel Alabang! UAAP Basketball Season 78: DLSU vs Ateneo. Earth Kitchen in Bonifacio High Street.